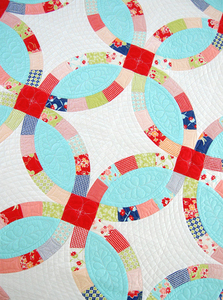 Kate's Big Day Pattern - 72" x 72" - A traditional looking double wedding ring quilt made the easy way! Simple block construction method. Easy enough for a beginner. 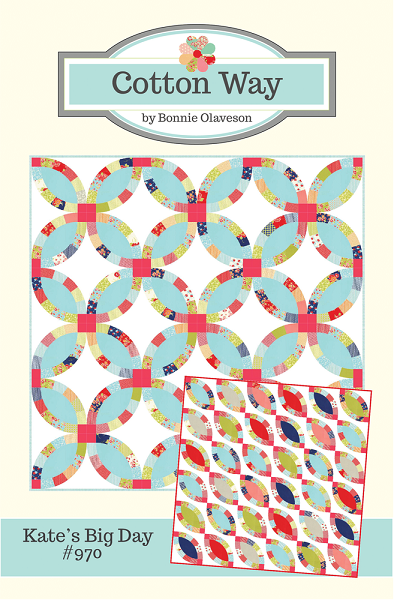 Pattern also includes the Petal quilt. Great stash buster! Fat eight friendly.